We are excited to announce the launch of a new organizing campaign called Caps Hurt Communities—a Campaign for Housing and Community Development Funding (CHCDF) initiative. 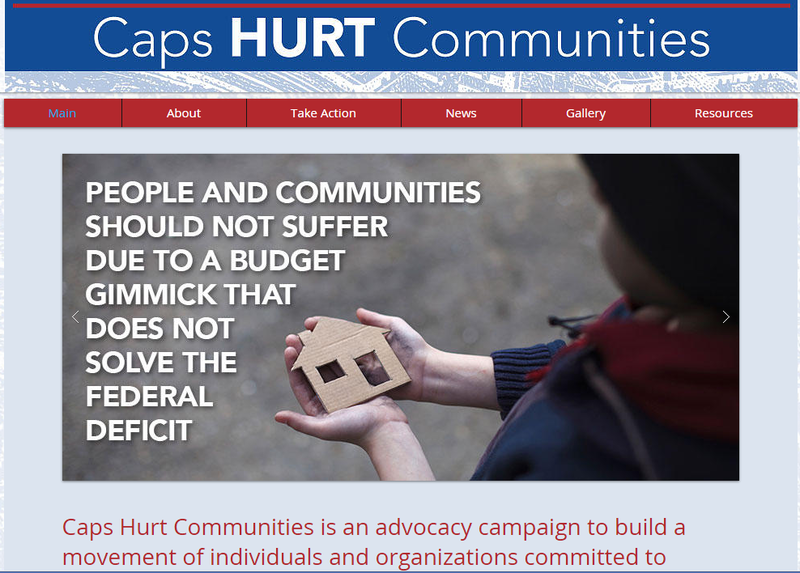 Caps Hurt Communities seeks to build a movement of individuals and organizations committed to bringing an end to federal sequester caps. America is stronger when we have decent, affordable homes, and stable communities. Families and neighborhoods thrive because of housing and community development investments. People and communities should not suffer due to a budget gimmick that does not solve the federal deficit. Congress must lift spending caps to protect homes, families, and communities. Let’s ask Congress to lift the unfair budget caps and increase resources for safe, decent, and affordable housing and community development. Join the Caps Hurt Communities Campaign: Visit www.capshurtcommunities.org to join thousands of advocates across the country who are deeply concerned about the effects of sequestration cuts on critical housing and community development programs. Sign Letter to Congress by August 21: Organizations can join the fight against sequestration by signing on to a letter calling for an end to sequestration. Click here to sign and view the letter: http://nlihc.org/issues/participation/ndd_letter. Schedule In-district Meetings: In-district meetings are a good way to let your U.S. Representatives and Senators know how you really feel about sequestration budget cuts. Schedule in-district and in-state meetings with your U.S. Representatives and Senators between now and September 7. Get Vocal—National Call-in Days: National call-in days are scheduled for September 8, 9, and 10. On these days, please light up the switchboards of Congress. Let your voice be heard! Share Your Photos and Stories: Send your stories and photos to outreach@nlihc.org and we will post them to the www.capshurtcommunities.org website. So join the campaign and take action now! Together we can bring an end to the sequester caps and increase resources for safe, decent, and affordable housing and community development.